After arranging the date of your wedding and the venue for both the reception and the ceremony, it’s time to invite your all-important guests. 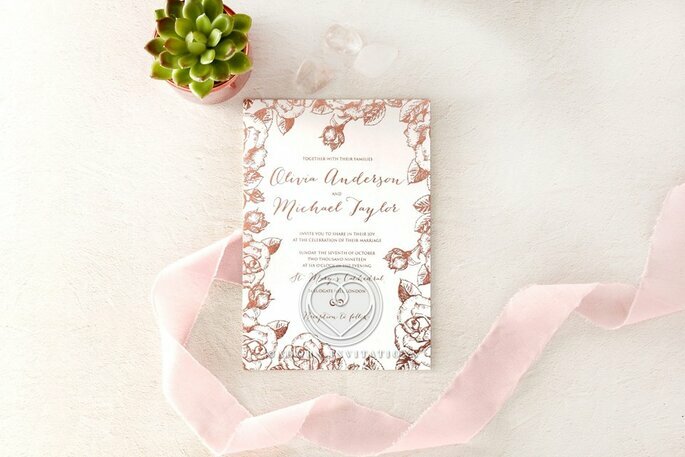 Your wedding invitations will be the first glimpse that your guests will have of your special day, and so it’s important to ensure that they reflect your wedding theme and personal style as a couple. 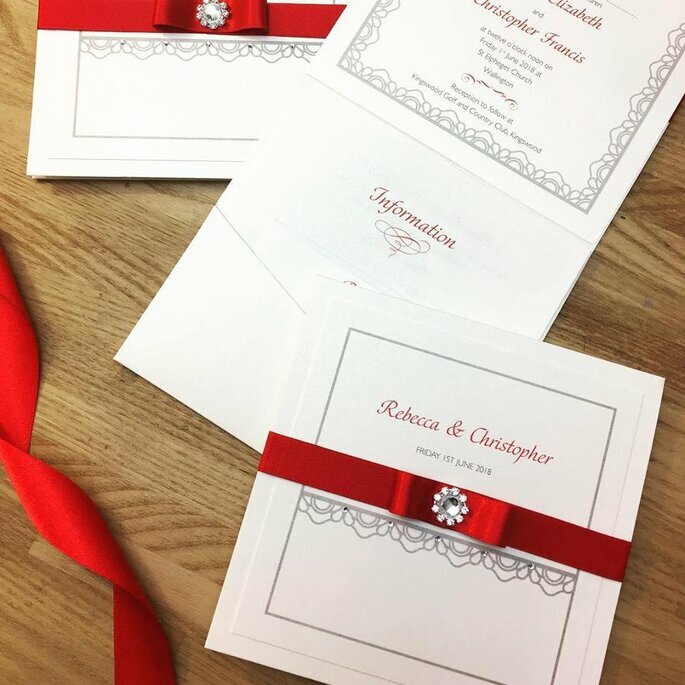 There are so many providers of wedding invitations and stationery out there on the market, but the trick is to find a company that are specialists in creating personal and good quality invitations that can be adapted to each and every couple. That’s why we at Zankyou have created a list of our favourite wedding invitation designers for your 2019 wedding. Just choose the one that perfectly suits your style! 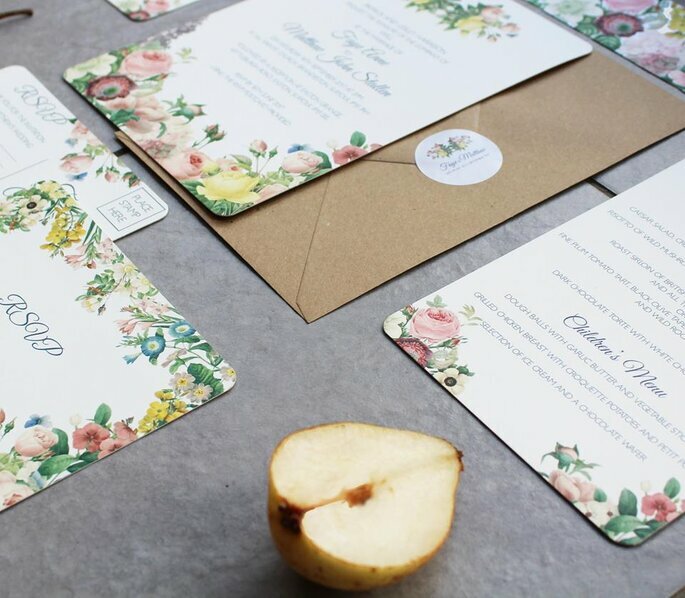 Sarah Wants makes country-inspired wedding invitations and stationery, based in Cornwall but shipping internationally. Sarah is inspired by nature daily, working from her garden studio, and so is talented when it comes to creating intricate designs. Flowers are a key part of the decoration of any wedding, so why not adorn your invitations with them? 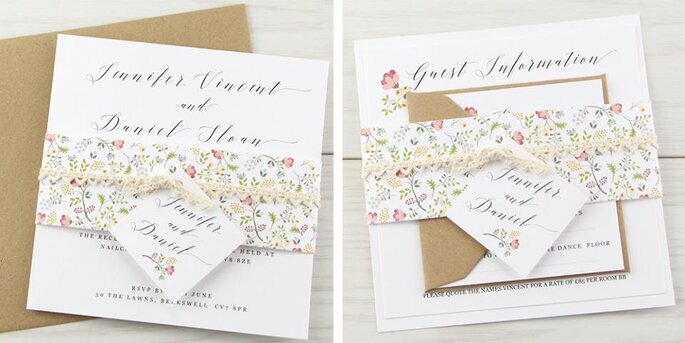 Whether your theme will be vintage, country-style, secret garden or boho-chic, Sarah can recreate it with her lovely floral invitation designs. 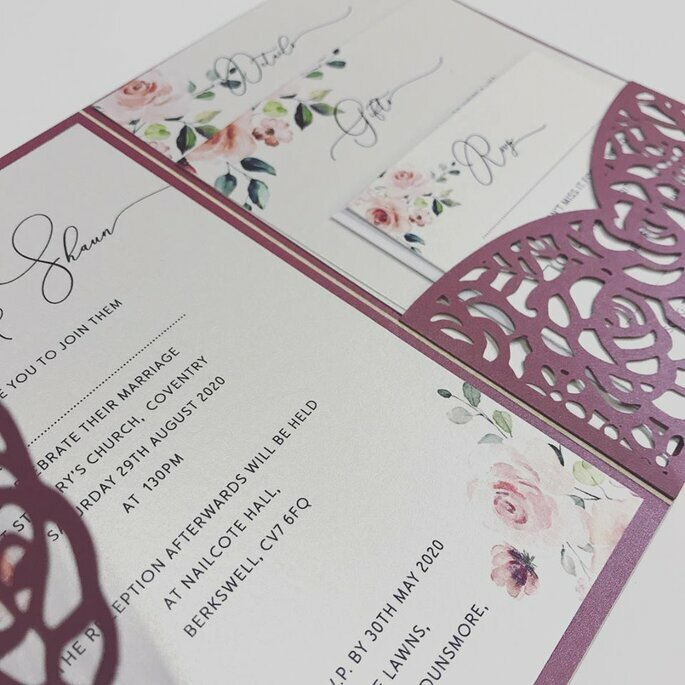 You can personalise from a catalogue of over 200 gorgeous invitation designs from Adorn Invitations, with styles to suit all budgets, themes and desires. 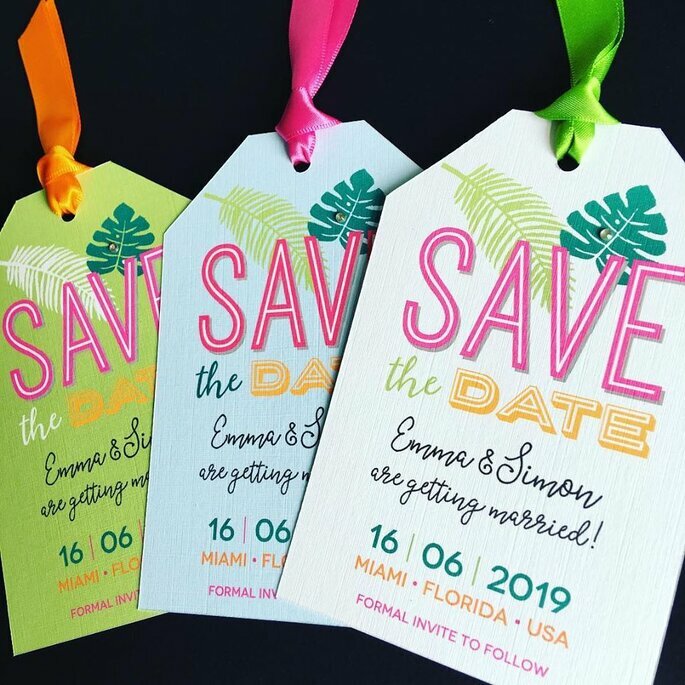 Choose from DIY, luxury, modern, traditional, daring or simple invitations, and you can also opt for your RSVP cards, table settings and other wedding stationery to match. It’s no wonder that Adorn Invitations are leaders of the industry, synonymous with high quality, innovative design and efficient service. 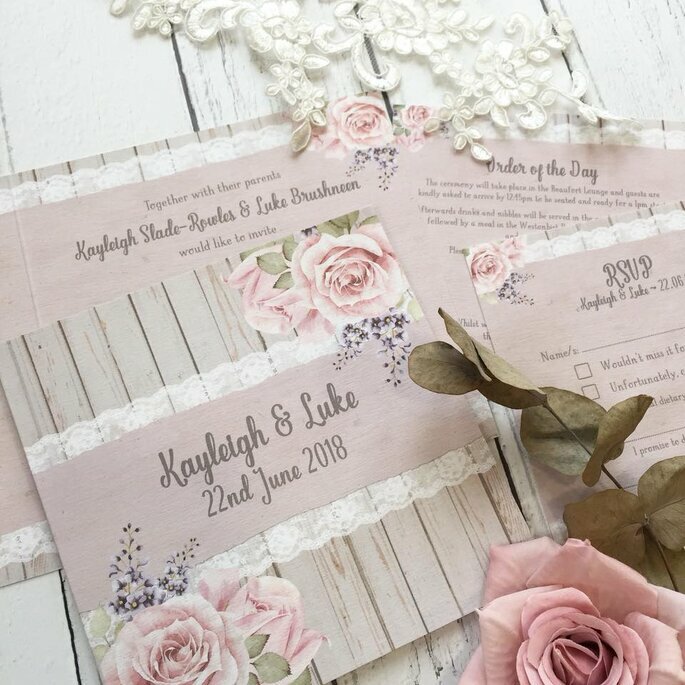 Pure Invitation offer a one-of-a-kind DIY service to personalise your wedding invites according to your essence as a couple, and create coordinating stationery such as table plans and menus to match. You can opt to have all the pieces sent to you for an easy assembly, or choose to have them handmade with love by their expert team. 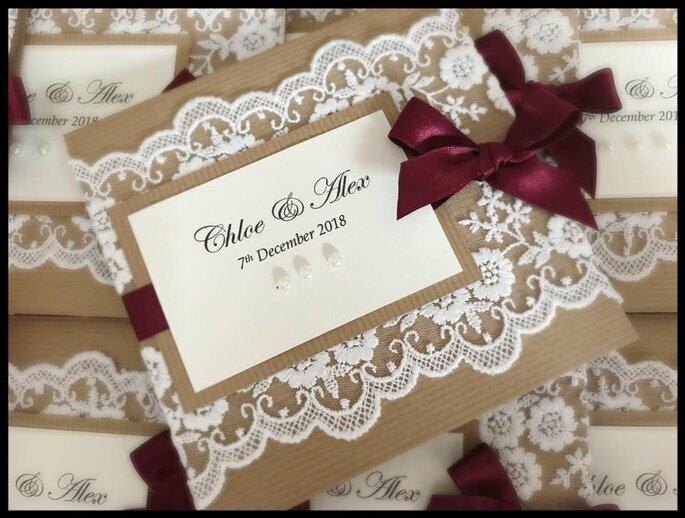 Established in 2006 for couples looking for handmade luxury, Wedding Invitation Boutique now provides wedding stationery across the UK and around the world. All designs are available in a rainbow of colours, giving customers flexibility when choosing their overall wedding colour scheme. The team strive to use sustainable and locally sourced paper and card, and every inch of their wedding stationery is still lovingly handmade from within their Manchester studio – so you can expect high quality every time. 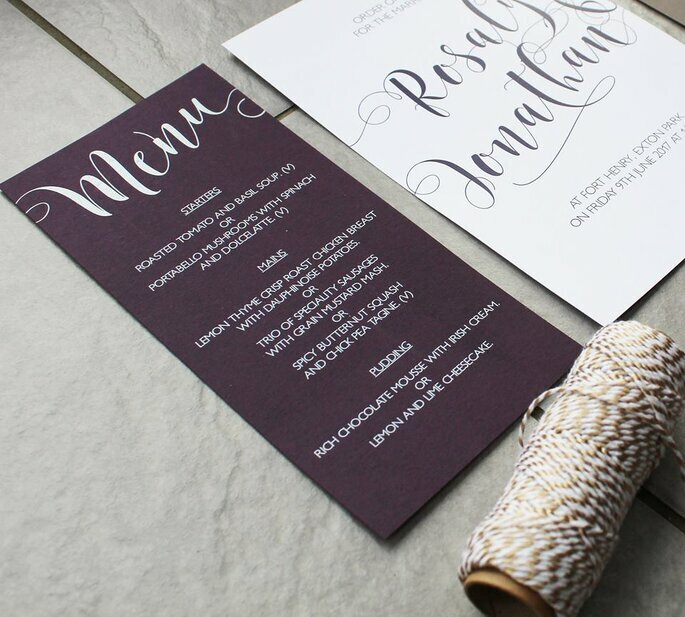 Inviting You adds humour, creativity and a modern style to wedding stationery with their bespoke design. From wedding invitations to place name cards, menus, Order of the Day, fans, Guest Books, and ring cushions. Perhaps the most exciting thing they do is their dedicated Destination Wedding section. 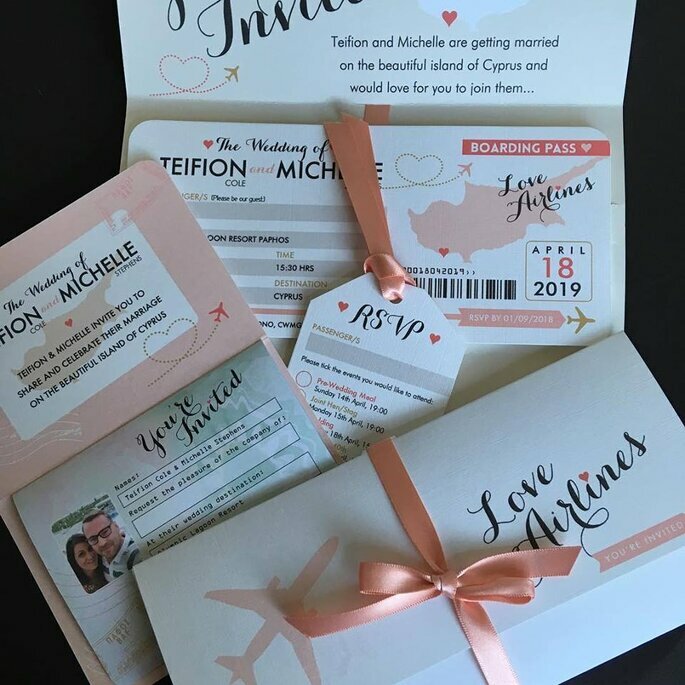 This means that couples who are getting married abroad can create passport or plane ticket style invitations to get all their guests excited about the trip! 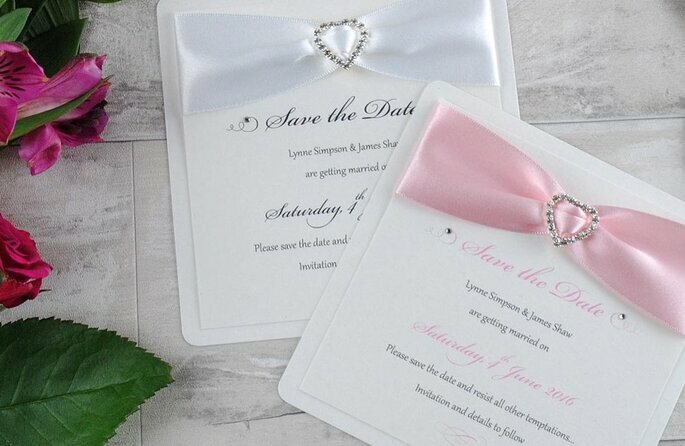 Based in Nottingham, Clare makes exquisite invitation designs, handmade to order. 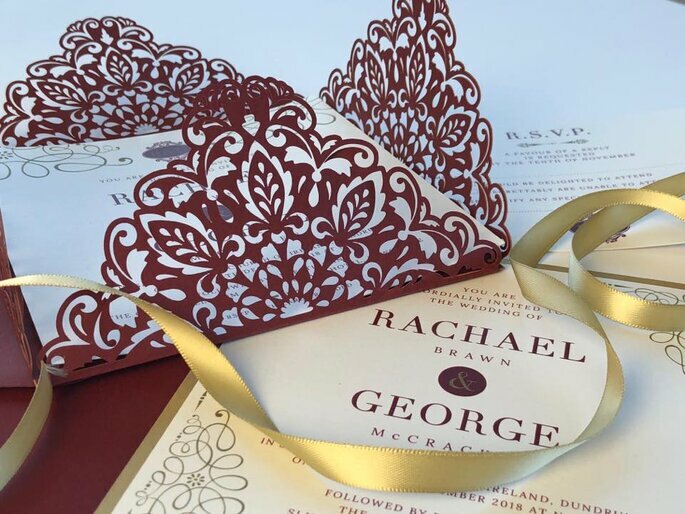 Working intricately with textures such as lace and silk on card and luxury paper, this designer will ensure that each and every wedding invitation is perfect – meaning every one of your guests will be impressed with what they receive in the post! Natalie at Lemon Pie Designs is a lover of colour, pattern and typography, having created modern wedding stationery since 2009. 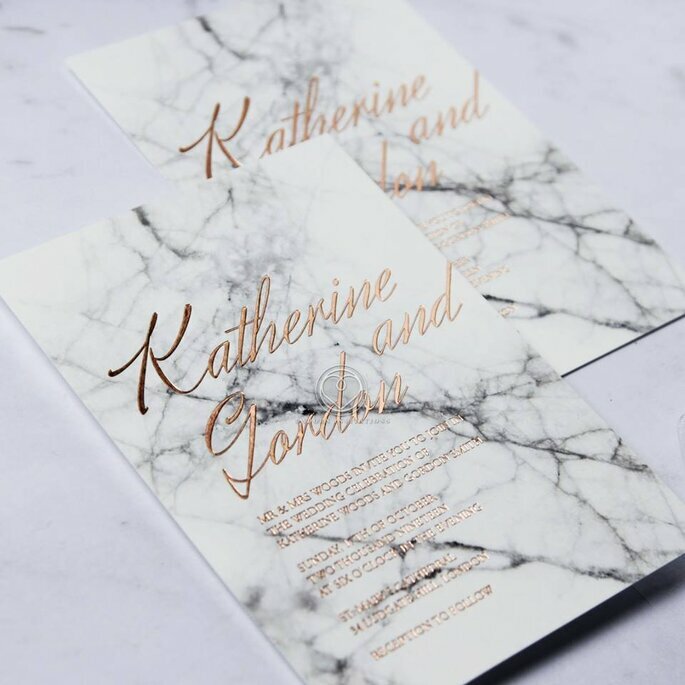 Natalie started her company after realising that there weren’t many options out there for couples seeking modern, chic and simple wedding invitations – without all the frills and bows but still elegant and beautiful. Her personalised service aims to make the process for brides and grooms as fun and stress-free as possible. 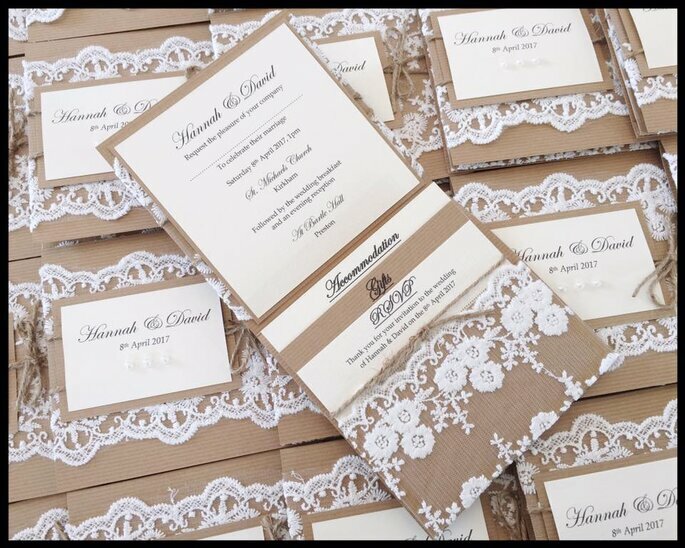 Based in Belfast, White Lace Stationary specialises in couture and luxury wedding invitations. 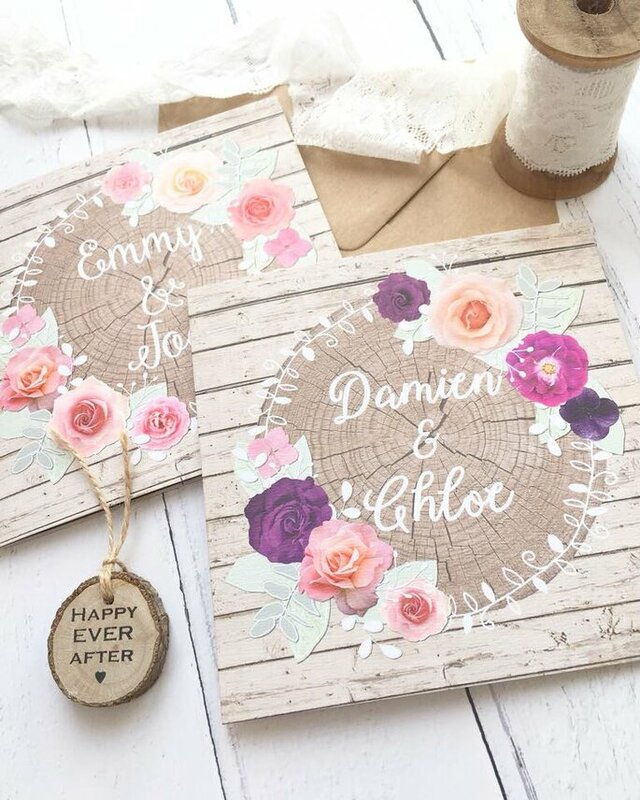 The team love creating unique, bespoke designs for each and every couple, being extremely flexible with everything from adornments to wording and paper. 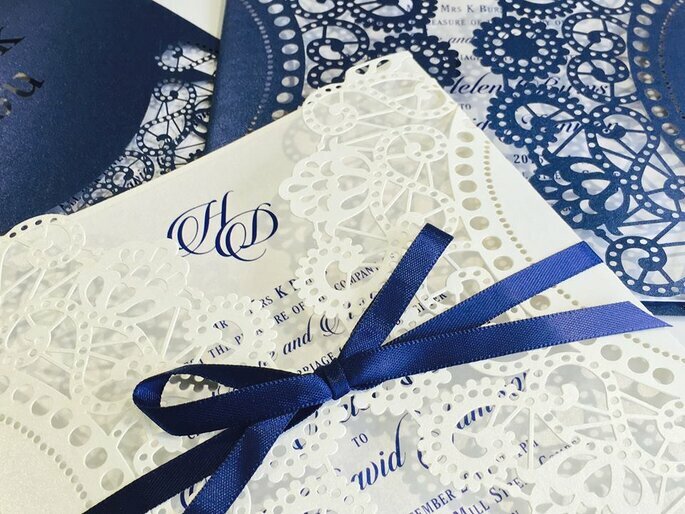 Bring your vision to life with an appointment at White Lace Stationery, and work with them to create something infinitely special.